is also the owner and operator of Fire Crown Productions, a Canadian film company. or wherever her work takes her. 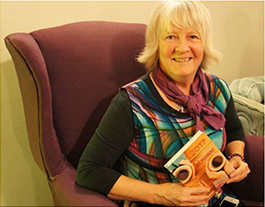 Marian is a writer who has published in many different genres. 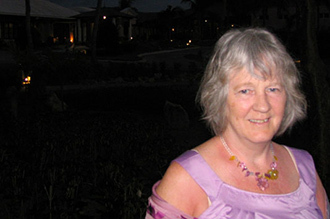 Her published works include ten editions of A Woman's Almanac, featuring Newfoundland and Labrador Women (1987-1991), and Voices of Atlantic Canadian Women (1992-1996). In 1997 a collection of Almanac interviews was published in The Finest Kind, a Compendium of Almanac Stories. In 1994 White published the biographical book Not A Still Life, the art and writings of artist Rae Perlin. In 1995 she published a History of Newfoundland and Labrador with Grolier Ltd., as part of their Canadian series on the provinces. In 1996 it was translated into French. In 1997 White published her first book of poetry, Skinny Dipping. George Elliott Clarke wrote in the Halifax Chronicle Herald: Forget Toronto, St. John's rules English Canadian poetry. In 2000, White was named Artist of the Year by the Newfoundland and Labrador Arts Council. White's second book of poetry, Mind Your Eyes, was released by Killick Press in 2003. In 2005 with her partner Beni Malone, she co-wrote a children’s book, The Sights Before Christmas. White is currently working on a sensual feast of a novel, Ah Paris! set in the 1980's and based in Newfoundland and Paris, France and a new book of poetry called Good Grief that celebrates the life of her mother, Florence White (1920-2007), in photographs and poetry. Marian White also has four films to her credit: The Untold Story of the Suffragists of Newfoundland (1999) is a docu-drama celebrating the thirty year struggle by the women of Newfoundland to win the right to vote. ; in 2002 she wrote and directed the documentary Fool Proof, a film which takes a light-hearted look at the art and craft of clown and circus life, and in 2005 she co-produced Stealing Mary, a documentary about the Beothuk native peoples of Newfoundland. In 2007 White released Tricksters, a film shot in Labrador as the Innu celebrate their culture with Wonderbolt Circus.